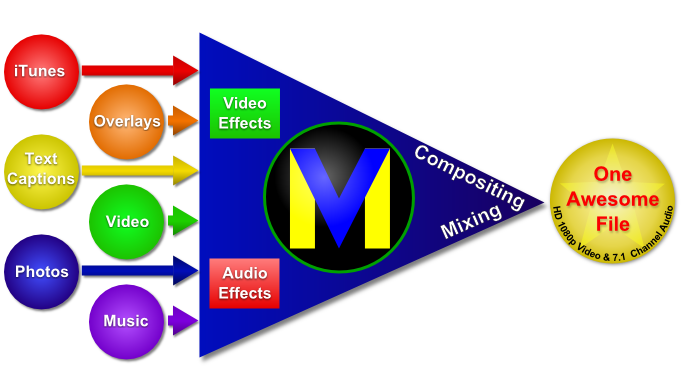 VideoMeld is the latest evolution in modern, multitrack, multilayer video editors. *Free for projects of 5 minutes or less. 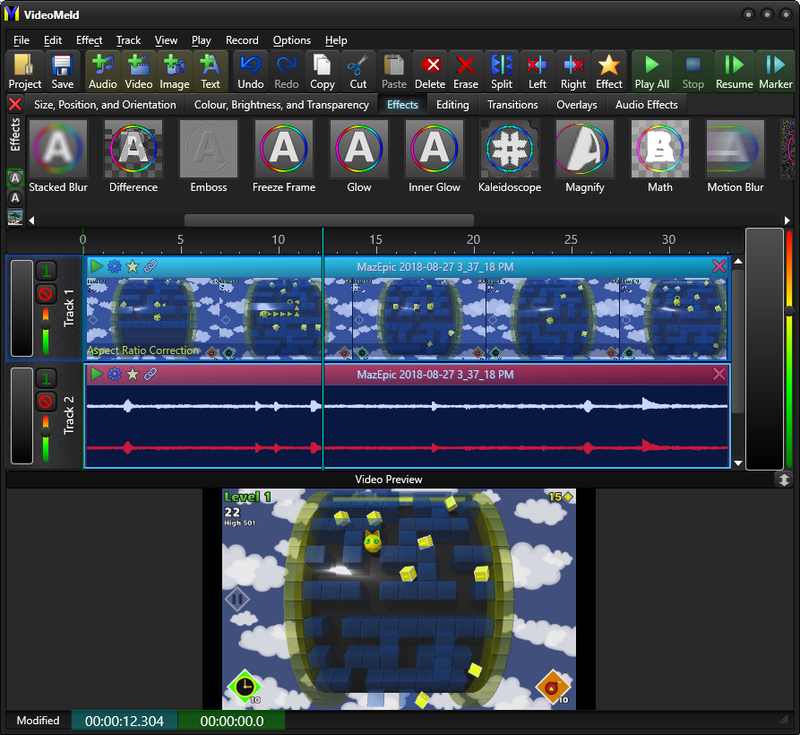 Fast, intuitive drag-and-drop editing with drag-and-drop effects. Copy, cut, split, merge, trim, and crop with ease. Add text captions, overlays, dynamic special effects, and transitions. Combine (meld) any number of audio files, video files, photos, and images into a single, high quality file. Create impressive presentations or tutorials with background music, picture-in-picture videos, photos, images, and overlays. Edit home movies, remove unwanted parts, enhance the colour and contrast, and add titles and captions. 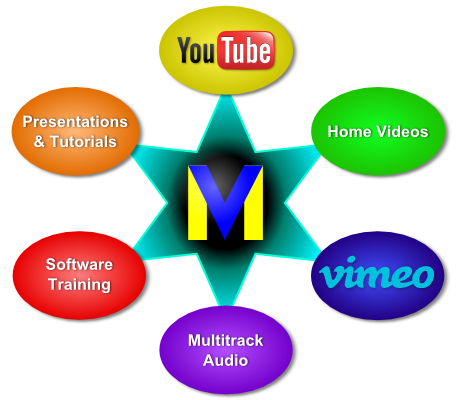 Use transitions and special effects to create professional looking videos compatible for uploading to YouTube or Vimeo. Use the built-in computer Screen Recorder to create videos for software training videos, demonstrations, or advertisements. Create multitrack, multichannel audio files, keeping vocals and instruments separate for easier retakes or remixes. Check out the basic features of VideoMeld in this introductory tutorial. This tutorial demonstrates how to recreate the famous opening crawl in the Star Wars movie. *Free for melding projects of 5 minutes or less. Limited time offer. Future versions may not be free. This program is 100% clean and never contains adware, spyware, or any other other unrelated software. Always download from the official VideoMeld or GoldWave websites. 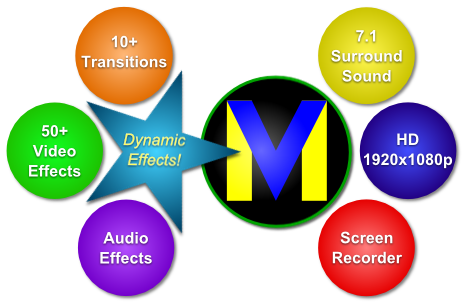 VideoMeld is a trademark of GoldWave Inc.